This afternoon there was a low tide at Little Corona del Mar Beach. 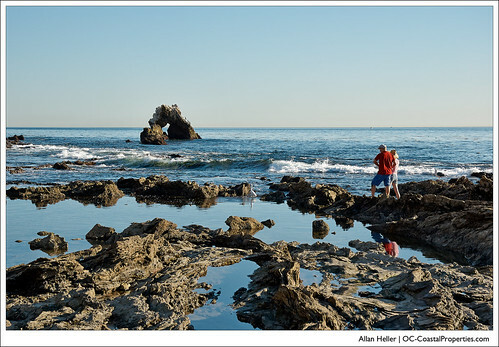 Below is a capture of a couple enjoying the tide pools and rock formations exposed. If you click on the image to view the large version and look closely, you will also find several perched birds enjoying the view.